After switching to Ubuntu, many of you need to run your favorite windows application. Well, for that Wine is here. 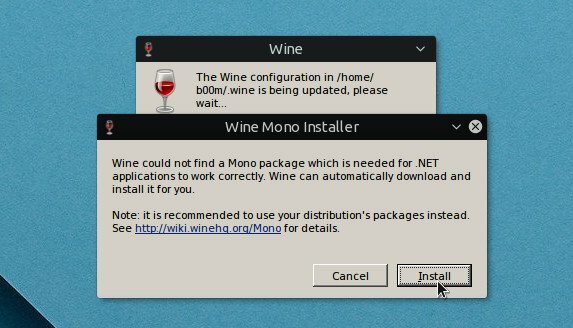 To properly install wine on Ubuntu, you have to follow the steps below. Add extra repository if needed. Find out which wine version you need. Install wine Ubuntu with apt. Configure and apply fixes to wine, if necessary. After installing wine, you can install and run your windows apps through it, let's get started. Which Wine version should you use? Most windows apps depends on many many 32 bit linux shared libraries to run. In fact you can not run most windows apps on a 64 bit system without them. Open up your favorite terminal emulator like gnome terminal and the type the commands listed below one by one. The command will ask for your password, type it and hit Enter. Now you can verify if the command worked properly or not. The above command should return i386 , ant that's all you need to do in this step. Ubuntu's default repository doesn't have the latest wine builds, so if you need a very recent wine release, then you've to use another repository. There's three main wine repository from WineHQ, Stable branch, Development branch and Staging branch . You need to run the commands below one by one to add the WineHQ repository. Next you need to update the repository to make the changes available, it's fairly easy. Here's a detailed apt tutorial, have a look for more advanced options. Lightweight windows apps runs flawlessly on any linux Wine version. But large software or games runs much better on a specific version of Wine. So, that's a bit complicated, you've to find out the best wine version for your software. Searching the web could help you, here's the official wine apps database. You can install and use multiple versions of wine at the same time. But be careful about dependency and conflict betwen multiple versions. The easiest way to manage multiple wine installations is by using different WINEPREFIX for each version. That's another big topic, I'll discus about it later. You can use either Ubuntu software center or the command line to install wine, here we'll use the commands. To install full wine use the apt command, it will install wine and all it's 32 bit dependencies. However, if you need a minimal install, use the --no-install-recommends flag with apt. To install wine 2.x series from the WineHQ development branch repository, use the command below. Note that wine devel branch is installed under /opt directory and doesn't create any application menu. You need to install some windows related libraries and frameworks to use wine properly. So, run winecfg or /opt/wine-devel/bin/winecfg depending on your wine version. You'll be asked to installed .NET framework, Wine Gecko or Mono framework. Next they'll be installed automatically from internet. 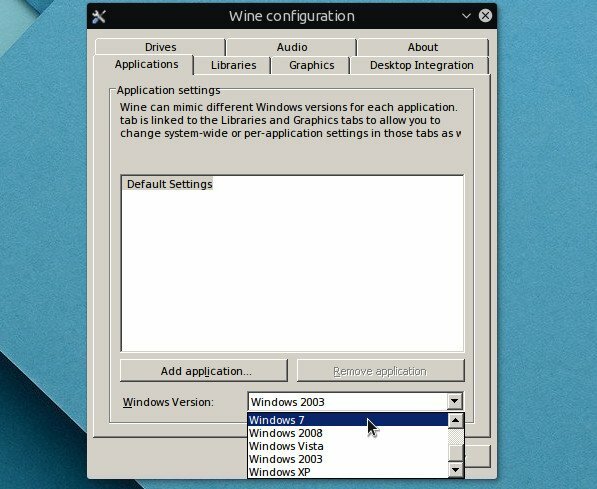 You may also need to choose proper windows version, like windows 7 in the wine configuration editor. If you think wine is no more useful, and want to uninstall, then it's here. Again We'll use the apt command to uninstall wine from Ubuntu. Simply run the command below. Finally remove the directory containing all run time data generated by wine. It should be a pretty clean uninstall, removed almost everything related to wine. Now most application has their Linux alternative, so it's better to run the native linux alternative than through wine. However for games and some application like LTspice, we have no choice, so in that case wine is necessary. So, that's all how to install install wine in Ubuntu 16.04, 17.04, 17.10 and later versions, hope that's simple enough to understand. If you have any question or suggestion, just drop a comment. May be Wine 1.8 not available on the Ubuntu repository. Are you sure that the i386 architecture is added to your system? Yeah, a small typo, fixed. Thank you. Ready to make the Linux leap. Getting as much info as possible beforehand. It's always good to see wine write-ups however they always seem to stop at the installation stage which although necessary is not terribly helpful. What would be really helpful to me and I assume other new/prospective users is an in detail walk through of how to get a program to work when it does not work out-of-the-box. Agreed, I should have added a troubleshooting section. But the problem is it will be extremely long, and different for different applications. May be a 32bit and 64bit shared library mismatch problem. Try to run Wine like below.